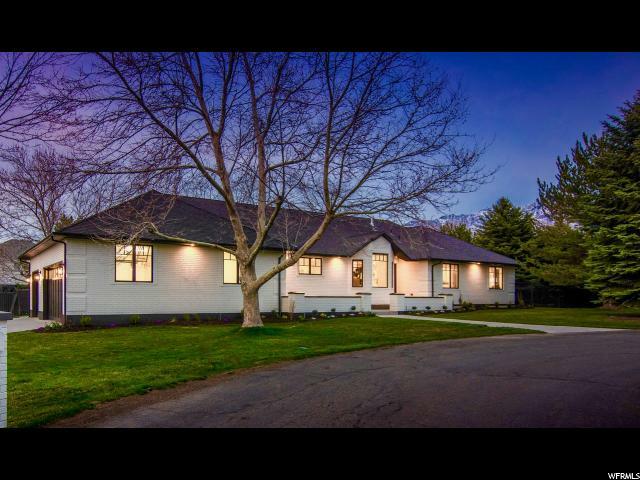 All PEPPERWOOD homes currently listed for sale in Sandy as of 04/22/2019 are shown below. You can change the search criteria at any time by pressing the 'Change Search' button below. 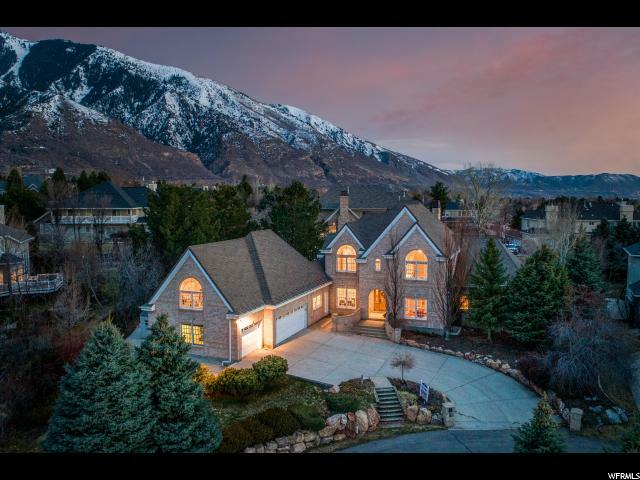 "Stunning home in prestigious Pepperwood. 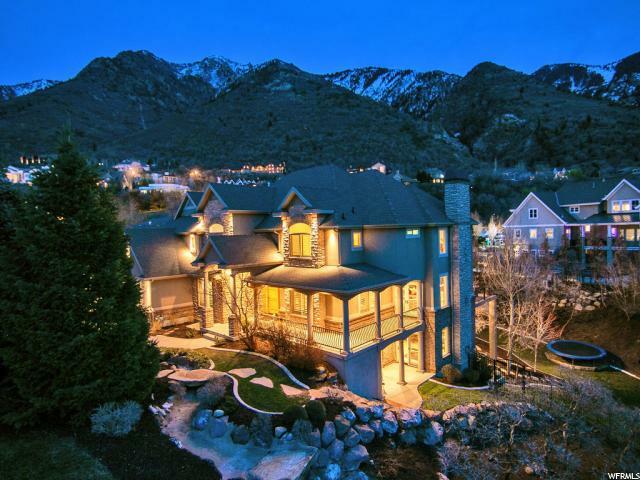 Dramatic two story windows with spectacular views of the Wasatch mountains. Secluded, parklike yard. Upstairs features 3 spacious rooms, each with full bath and walk-in closets. Grand master bed/bath suite. Formal dining. 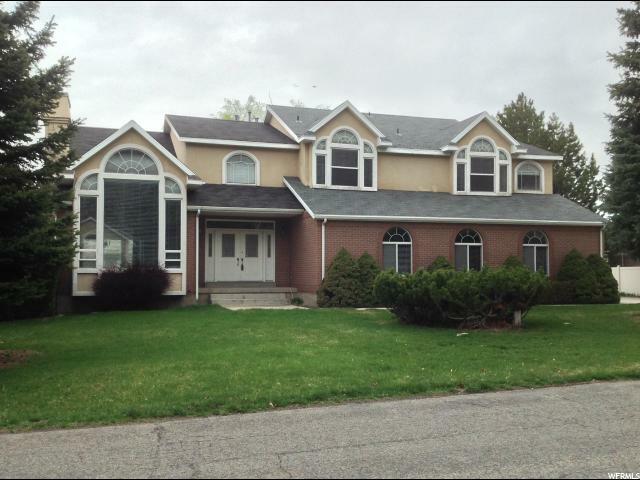 The daylight lower level with 9ft ceilings, has two bdrms, fireplace, full kitchen and walkout. 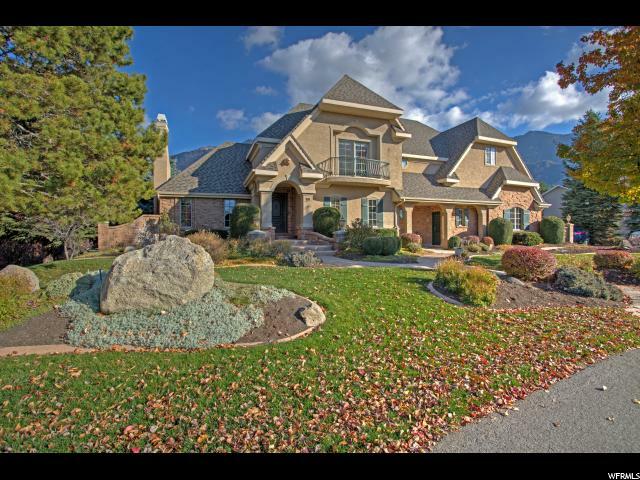 Excellent custom built home featuring many custom finishes. 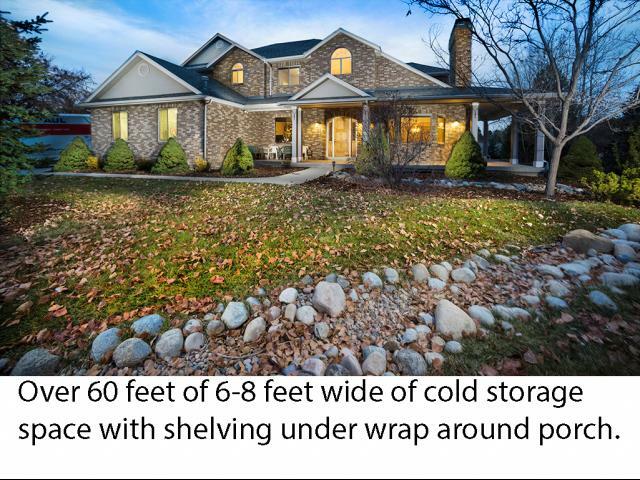 Four car garage is heated with ample storage and work bench. 24 hour security. Amenities that include the best of luxury living. " 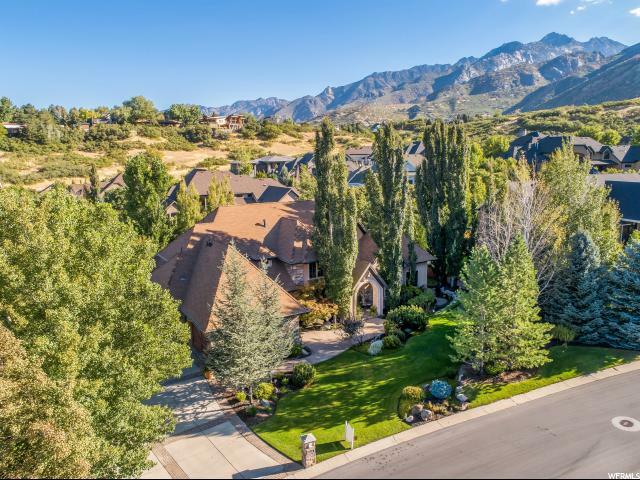 "This is a beautiful home in the heart of the private community of Pepperwood. The backyard is an oasis including a relaxing waterfall feature, a fire pit for entertaining on a .80-acre flat lot that still has plenty of open area pre-plumbed with sprinkler feeds for a fantastic vegetable garden of your dreams or other use. This neighborhood has all the amenities you will ever need including a community swimming pool with swim team, tennis/basketball/pickle ball courts, pavilion with gas grills, miles of walking/bike paths, playground and safe activities for children of all ages. The neighborhood has two east and west gates that are manned 24/7 for restricted access. Call today for a showing, this is not only your dream home but your dream community. " 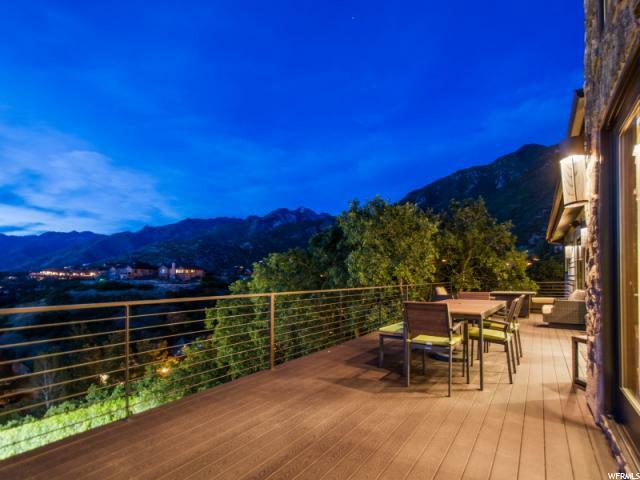 "*Located at the Base of the Wasatch Mountains*In the 24 Hour Guard Gated Pepperwood Community Which Offers Over 600 Residential/Home Sites On Approx Half Acre Plus Size Lots, Bike/Walking Paths Throughout, Pepperwood Competitive Swim Team, Pool With Life Guards, Hot Tub, Pickle Ball Ct, Basket Ball and Tennis Courts, Sand Volley Ball Ct, Amazing Playground and Park, 4th Of July Parade, Easter Egg Hunt, High School Graduation Party* Within Minutes Outside Pepperwood Community are Hiking/Biking Trails, World Class Snowbird, Alta, Park City Ski Resorts, Lakes and International Airport*This Home Has Vaulted Ceilings, Large Windows and Open Rooms, Main Floor Large Bedroom Has Been Used For the Office, Mother In Law Living In Lower Level, Theater Room, Attached Is a 3 Car Garage Door with 3rd Bay Extra Long For 4th Size Car*Detached Large RV Garage with High Garage Doors and Workshop*Outside Dog Run With Door to RV Garage*Listed at Approx $140 a Sq Ft for the Home*The Value Of Large Detached RV Garage Is A Bonus*Buyer to Verify All Information*EZ to Show Anytime After Text/Call To List Agent*Kb Front Door*"